Optical Character Recognition, or OCR, is a technology that enables you to read letters on the uploaded Gyazo images into text data. OCR scan is for Gyazo Pro user only. 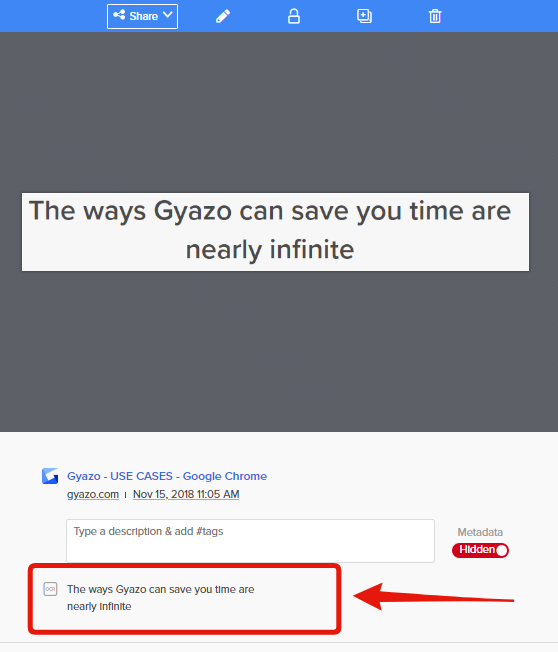 Go to your Settings page at https://gyazo.com/settings , and enable OCR scan. When you enable OCR scan, all the Gyazo images (including the images uploaded before you turn OCR scan on) will be OCR scanned.